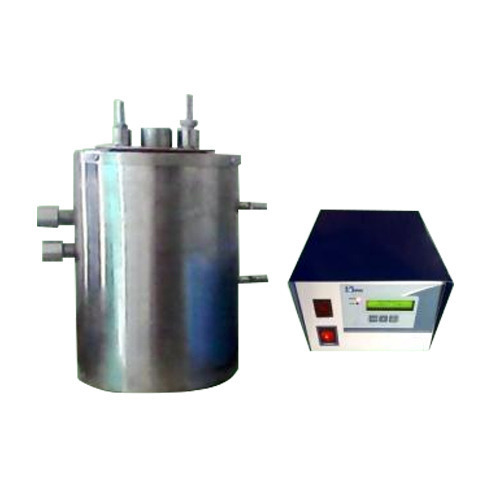 We offer Ultrasonic Reactor Vessel to carry out chemical reactions directly into vessel. Incepted in year 2008, Backed by valued industry experience,"Bioneeds Scientifics Corp" manufacture,trade and service provide an extensive range of scientific Instruments, like Ultrasonic cleaner, Water bath, Heating and cooling equipments like incubators, Ovens, water bath, Autoclaves etc. Raw material is sourced from reputed vendors, who adhere to follow strict quality parameters in the manufacturing process as per our policy. Our Products are easy to handle and use. Our range meets the requirements of most laboratories, research centres, Pharma sector and Educational Institutes. Our professionals strictly test our range on well defined quality parameters such as design and working life. This helps us in delivering defect free products to clients and maintaining our market goodwill. Our strict adherence to quality norms and customer centric approach have enabled us to garner huge client base in Asia and various other countries.